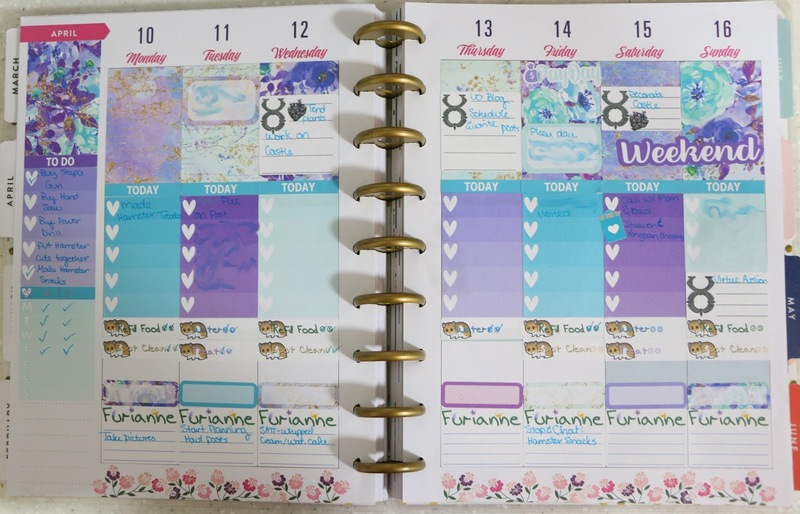 Furianne: Stop & Chat: Hamster Lids, Stickers, and FACE MASKS!! On Saturday the 15th we went to Yongsan again and bought all of the power tools we needed to work on the hamster home lids. This time around we found a staple gun! There were even two different types to choose from. Somehow we both missed them last time we were here. I knew as we started building the lids that I was going to have to change the design. The 12" wheels stick above the metal frame that I wanted to rest the lids on. I also forgot that I had wanted to make two lids for each hamster cage, and when we went to buy the wood we did not buy enough to adjust to two lids per cage instead of one. Phooey. To allow room for the wheels to fit while still keeping the wooden frames set inside the glass and black wood I decided that the lid would be "upside down" so the hardware cloth would sit on top of the wood instead of below it. The trade off is the lid doesn't look as nicely finished and until I find some way to cover the edges of the wire it serves as a hazard to Michael and I whenever we mess with the lids. We also used some leftover wood to help raise the wire in the section the wheel would be in. I haven't yet put anything in the gap that this setup creates in the wiring, but I will soon. So. Stickers. This has been a learning process, but it's so. Much. Fun! Above you can see some Ark icon stickers I made. These were intended to go over the icon portion of "Little Things" style stickers. Back when I played more Ark, I would use this combination to document the animals I tamed and any major events in game. I know, I have such an active social life that I keep track of my video game happenings. LOL! This sticker sheet is also one of the sheets where I did not have the right cut settings. I had the blade cut too deep, and it ended up cutting entirely through the sticker paper and its backing. Let me tell you, trying to peel off hundreds of individual little stickers off of the sticky cutting mat was not fun. I also made myself some basic stickers for hamster care. Now that I've used these stickers for two weeks, I have a better idea of which stickers should be made more than others. Yes, I know the cartoon hamster only looks like Bunny. I couldn't find one that looked like Hammy and my doodles aren't quite up to the par in terms of cuteness. Of course I can't document video game happenings without something UO related. The larger stickers on the right are what I originally made. After a few days of using those stickers I realized how much I disliked the size and spacing and remade them into what you see on the left. These are campion flowers, as depicted by Ultima Online. 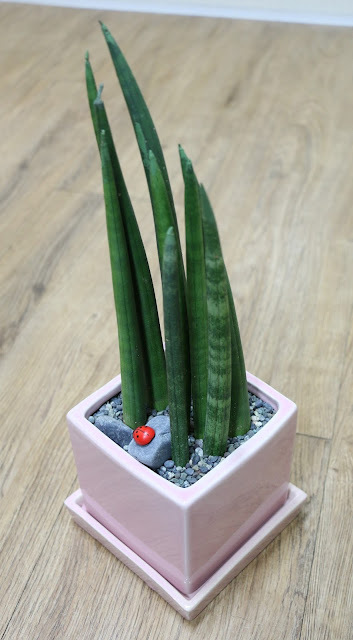 Since I (try to) do something plant related every day, I figured a simple sticker would serve for that purpose. I try to do something blog-related every day. It may not always result in a post, but I've decided I'm okay with that. It can be something like taking pictures, getting pictures blog ready, or working on a post. Whatever it is, I'll write it on the stickers. As the blog's logo changes to fit the season, so will the logo that accompanies this sticker. Not one of my proudest spreads, due to how blank it is. I'll talk about the blurs in a later post. The blurs are what made my planner so blank. This picture accurately represents my weekly spreads right now. At the bottom of every day is my blog sticker. My UO/video game related stickers typically go in the top section, and my hamster stickers go below the "Today" section. "Today" is usually used to write down "real world" happenings, since I track so much of my online activity in my planner. Back to Saturday's Yongsan trip. While we were there we also checked out Itaewon. I've wanted to pick up some cute socks since we first came to Korea. We happened to walk by a street vendor who was selling a lot of sock options, we had some Won on us, and these designs stuck out to us, so we bought some. Michael says he has no intention of wearing any of these. They're just decoration. I, on the other hand, am going to channel my inner Pokémon and wear these socks whenever I please. I knew there was an Etude House in Itaewon. I had a very faint hope that they would be running some sort of sale on their face masks, as a lot of stores in touristy locations run sales outside of the normal rotation and advertisements. I didn't expect was the sale of 30 masks for ₩9,900 to still be going on, but face masks are on sale frequently and I still wanted to try their masks out. Michael saw the signs that I completely missed as we walked by. The 30/₩9,900 sale was still going on. At least, that's what the sign claimed. Michael, with the memory of our previous Etude House visit fresh on his mind, immediately got the attention of an employee and double checked to make sure. The 30/₩9,900 sale was still going on. They had a tiered sale, meaning the more you bought the more you saved, with the highest tier/discount being 30/₩9,900. But I ain't no "toe dipper" and my Too Much Gene immediately kicked in. I didn't even know what the lower tiers were, nor did I care. All I knew was there were packs of 10 outside, and 9 different face mask sets to choose from. I could have gone inside and mixed and matched those nine masks until I hit 30. Did I? Hell no. The only option available to my brain was 9 ten-piece sets for ₩29,700/~$26. That's a good number, right? The employees let us know that technically they weren't supposed to sell more than 30 masks per person, but they would separate the transaction into three purchases for us. I did not care. I had no shame. You know how little things line up and make your day? This 100% made my day. I was so disappointed when we couldn't get the deal before, and Michael knew I was wary of approaching the store on this trip lest I relive the disappointment again. Instead I got 90 masks for ₩330/~28¢ each. I'm still on cloud nine just thinking about it, and I haven't gotten around to taking these masks out of their shopping bag except to open up and use a Pomegranate one. What have you been up to? Have you seen any amazing sales in your region of the world lately? 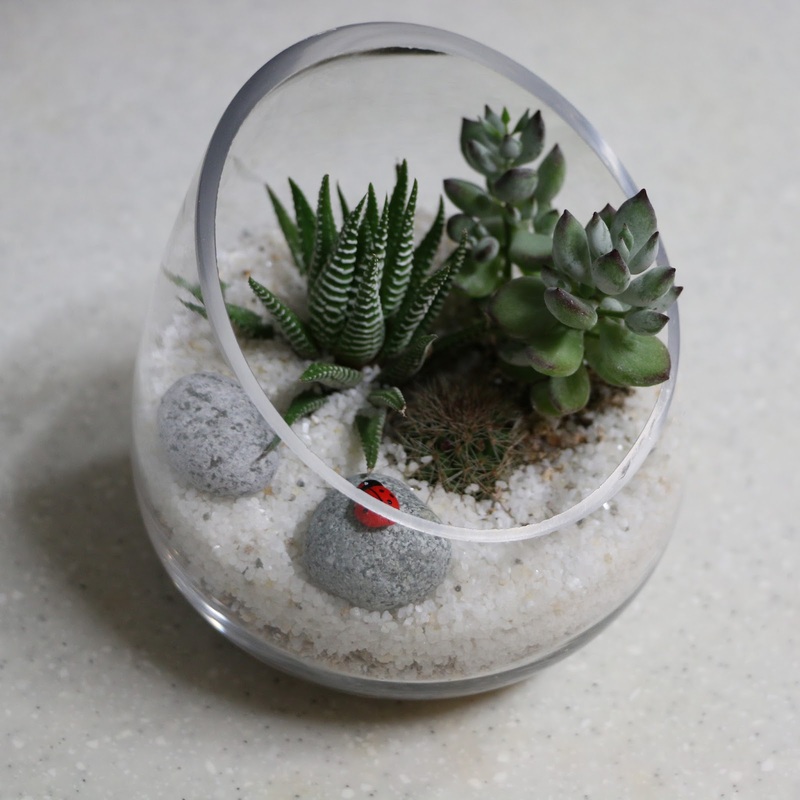 Love your succulent terrarium. The ladybugs are so cute. <3 Getting more house plants is high on my wish list right now. I am waiting for an IKEA trip though. They are more affordable there. I love your hamster stickers. They are so cute! And your blog stickers are pretty amazing. 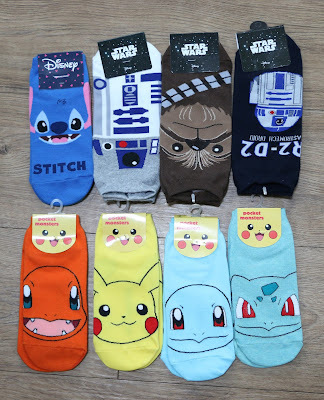 The girls have similar Pokemon socks and wear them to school every day. I say wear yours and enjoy!!! I have some cat socks and Sherlock socks I have no shame in sporting. I am dying over your sheet mask abundance. So happy you were able to score what you wanted. Enjoy many relaxing evening pampering your face. Hmmmm... no amazing sales but I have been buying some goodies to giveaway on my blog soon. That has been fun curating. Adam ordered me some of my favorite mint heating eye masks on Amazon. After a sheet mask of my own I will wear one tonight. Hope you have a nice weekend! I'm excited for your giveaway! I can't believe you're approaching another year! It feels like yesterday I was eyeballing your pocket tissue holder. I still have the one you sent tucked away in Michael's disc golf bag and we use it whenever we go throw. My very first tattoo was a lady bug with too long antennae and my friend asked me after I got it "is that a roach on your back?" UGH! What a bummer. I hate roaches. So then on my Tramp Stamp (see how classy I am? Without a doubt a product of the 90's) I got a hibiscus flower with yet again, another ladybug on it. Love them. I would LOVE to send you money for the next sale. 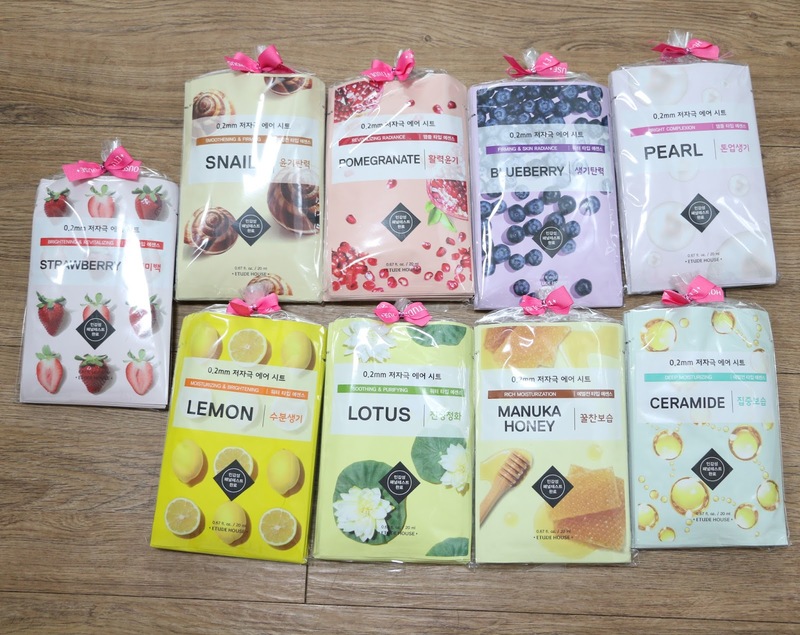 I am all about those sheet masks. And really, I am not picky about the types. I love problem skin correction, fine line and skin tone erasing but any type is good for me. Thank you, Liz! Just shoot me a message when to send you the money. THAT is a really good deal on the face masks! I love how your brain just goes straight to getting 'em all!